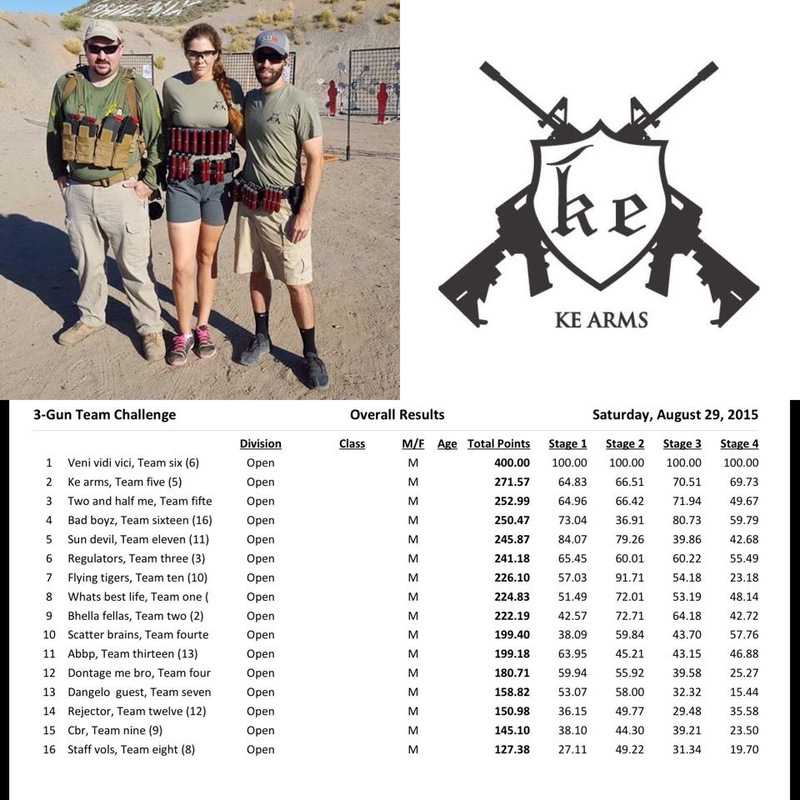 My team took second place at the annual Rio Salado Sportsman’s Club team 3 Gun. Each team was allowed one open shooter. In our case that was me, so I spent most of the match shooting my VEPR-12 with a little rifle and pistol at the end. 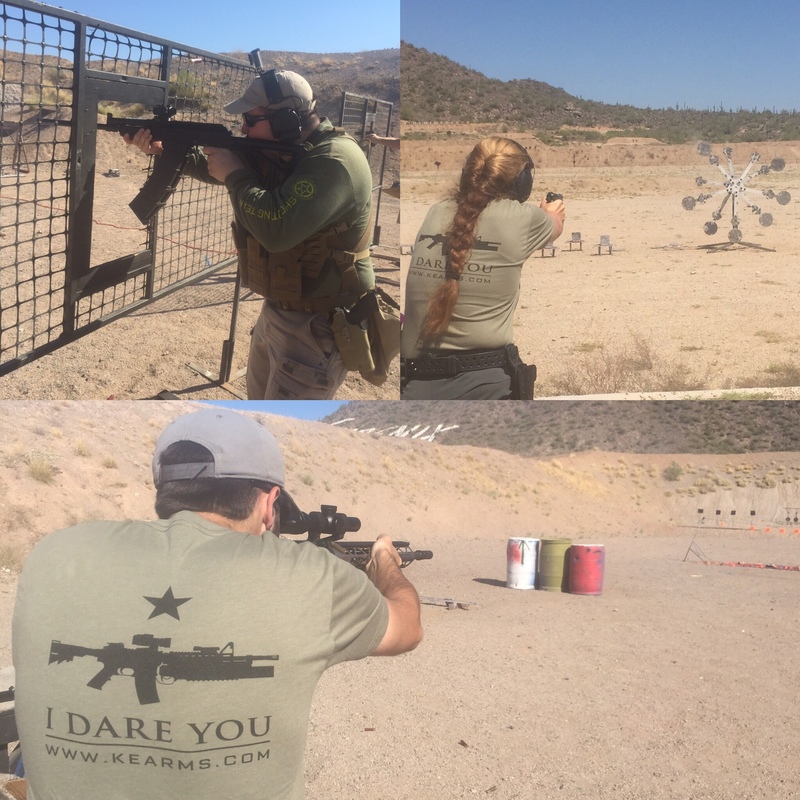 Team KE Arms (left to right): Russell Phagan (me), Danielle Vermeulen, Sam Travis. Congrats to Kelly Neal, Dale Averkamp, and Kyle Schmidt on first place! This entry was posted in Competitions, KE Arms, VEPR-12. Bookmark the permalink. Are you still using those SMG mag? How have they been? It looks like your optic is riding further forward. Are you using some type of rear site base mount? Which one? Glock factory 32 rounders work fine, I’ve been using those same mags for years for Open or Trooper divisions where they are allowed.